"The littlest feet make the biggest footprints in our life!" Includes a pre-session consultation, in-studio portrait session, your photographer’s time and talent, and digital darkroom editing and retouching of images from your session presented to you during the viewing/ordering session. Your session fee also includes a $200 print credit to use towards the purchase of prints, products or digital images. Includes a portrait session up to 2 hours for baby and parents, 2 blankets, up to 3 prop/bucket setups, your photographer’s time and talent, and digital darkroom editing and retouching of images from your session presented to you during the viewing/ordering session. Your session fee also includes a $200 print credit to use towards the purchase of prints, products or digital images. Includes a 1-hour in-studio or on-location session, 3 outfits, your photographer’s time and talent, and digital darkroom editing and retouching of images from your session presented to you during the viewing/ordering session. 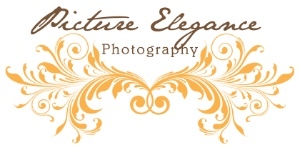 Your session fee also includes a $200 print credit to use towards the purchase of prints, products or digital images. Balloons and cake provided by the parent. Payment plans are available and can be divided up over the year. Contact or call us at (704) 241-7902 to schedule your sessions today!